The Uptown Hound is a great option for people who are looking to keep their dog active, stimulated, socialized with friends, or maybe just out of trouble while they’re at work or just away for the day. Our Resort- Doggie Day-Camp has many sophisticated safety and wellness systems to ensure healthy dogs and peace of mind- including fully fenced yards, air filtration, advanced security systems as well as Paw-gress reports for parents. Socializing and spoiling them while you are away is our specialty! 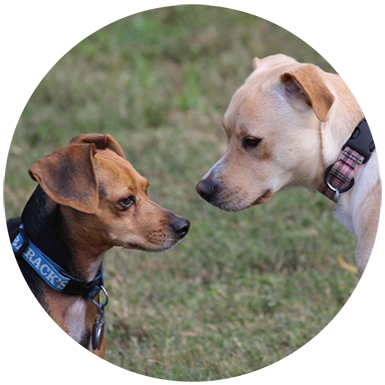 Doggie Day-Camp is a great way to build your fur-baby’s social skills in a safe and controlled environment. Our staff believes that choosing the right Day -Camp for your furry family member starts with proper education and communication between both of us. • Each Dog is required to pass a socialization interview and must be current on all required vaccinations. Daily Transportation to and from home. 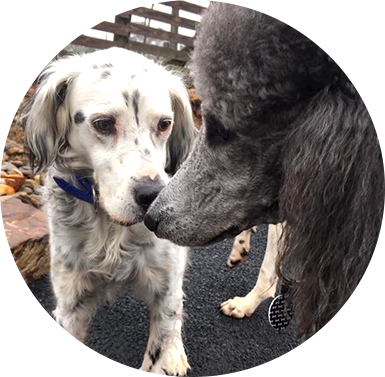 What can I expect from Day-camp at The Uptown Hound – Find Out! New Customer? It’s time to join the Pack! See for yourself why pups (and their parents!) love The Uptown Hound in Cleveland, TN.